Ghanshyam Patel — The Law Offices Of Patel & Associates, P.C. 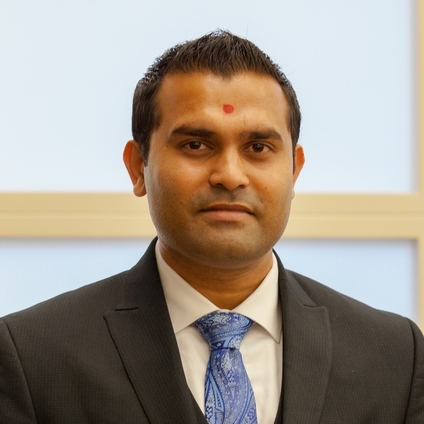 Ghanshyam Patel is licensed to practice law in the State of Illinois. Mr. Patel graduated from The John Marshall Law School in 2013 earning his Juris Doctor degree. Mr. Patel earned his Bachelor of Arts from Benedictine University in 2010, majoring in International Business and Economics and minoring in Political Science. Mr. Patel grew up in a business-oriented family and has seen his family buy, sell and operate various types of businesses; this has given him a deep understanding of business practices and ethics. While in law school, Mr. Patel started three successful businesses, which are still owned by his family today. In law school, Mr. Patel spent many hours setting up the appropriate corporate structure, negotiating leases, financing his businesses, and working out all legal needs of his businesses. Mr. Patel also took and excelled in many business law courses, including transactional law and representation, secured transactions, sales transactions, corporations, income tax, contracts law, property law, trademarks and copyrights, and intellectual property litigation. This business experience has given Mr. Patel the interest and passion to practice business law. His practice interests include: business law, estate planning, and real estate.